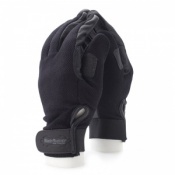 The Premium Golden Leather Gardening Gloves protect hands from dirt while working with soil and plants. 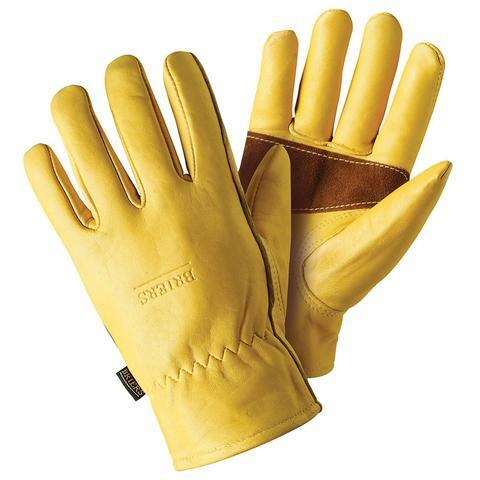 With a quality leather construction, they are ideal for tougher gardening tasks that involve handling coarse branches, stems, and plants. 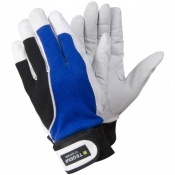 The reinforced palms improve protection while reducing risks of callouses and rubbing. The Briers Premium Golden Leather Gardening Gloves are available in a choice of sizes to ensure the most comfortable fit. Please consult the table below for details. 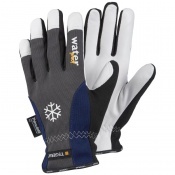 Fortunately these gloves are available in different sizes (some of Briers' more specialised gloves seem to be supplied only in "large" size, which are truly huge), but these are fine.